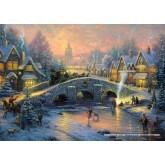 Thomas Kinkade There are 24 products. A 500 pieces jigsaw puzzle made by Schmidt (reference 58455). Size: 47.5 x 32 cm (= 18.7 x 12.6 inch). 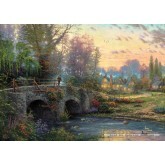 Special series: Thomas Kinkade. A 1000 pieces jigsaw puzzle made by Schmidt (reference 58446). Size: 69.3 x 49.3 cm (= 27.3 x 19.4 inch). 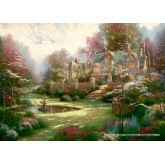 Special series: Thomas Kinkade. 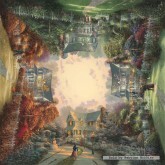 A 500 pieces jigsaw puzzle made by Gibsons (reference G3051). Size: 48 x 34 cm (= 18.9 x 13.4 inch). 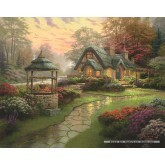 Special series: Thomas Kinkade. A 1000 pieces jigsaw puzzle made by Schmidt (reference 57443). 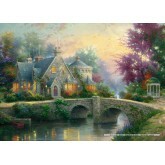 Special series: Thomas Kinkade. A 1000 pieces jigsaw puzzle made by Schmidt (reference 57466). Size: 69.6 x 32.8 cm (= 27.4 x 12.9 inch). 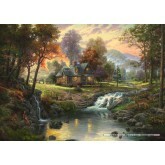 Special series: Thomas Kinkade. A 1000 pieces jigsaw puzzle made by Schmidt (reference 57486). Size: 69.3 x 49.3 cm (= 27.3 x 19.4 inch). 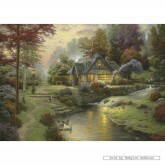 Special series: Thomas Kinkade. A 1500 pieces jigsaw puzzle made by Schmidt (reference 57452). Size: 83.6 x 58.8 cm (= 32.9 x 23.1 inch). 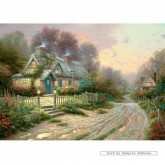 Special series: Thomas Kinkade. A 1000 pieces jigsaw puzzle made by Schmidt (reference 58441). Size: 69.3 x 49.3 cm (= 27.3 x 19.4 inch). 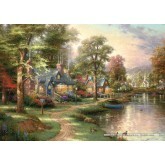 Special series: Thomas Kinkade. A 1000 pieces jigsaw puzzle made by Schmidt (reference 58451). Size: 69.3 x 49.3 cm (= 27.3 x 19.4 inch). 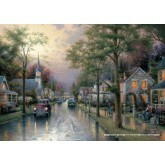 Special series: Thomas Kinkade. A 1000 pieces jigsaw puzzle made by Schmidt (reference 58460). Size: 69 x 49 cm (= 27.2 x 19.3 inch). 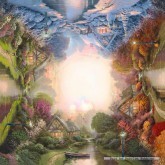 Special series: Thomas Kinkade. A 1000 pieces jigsaw puzzle made by Schmidt (reference 58463). 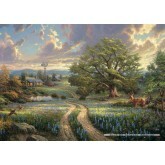 Special series: Thomas Kinkade. A 1000 pieces jigsaw puzzle made by Schmidt (reference 58462). Size: 56.2 x 56.2 cm (= 22.1 x 22.1 inch). 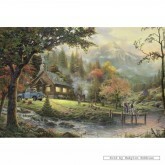 Special series: Thomas Kinkade. A 500 pieces jigsaw puzzle made by Schmidt (reference 58465). Size: 32 x 49 cm (= 12.6 x 19.3 inch). 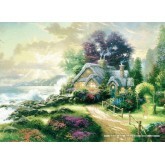 Special series: Thomas Kinkade. A 1000 pieces jigsaw puzzle made by Schmidt (reference 58464). 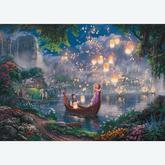 Size: 49 x 69 cm (= 19.3 x 27.2 inch). 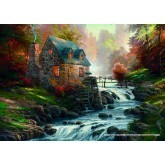 Special series: Thomas Kinkade. A 3000 pieces jigsaw puzzle made by Schmidt (reference 57463). Size: 117.5 x 83.4 cm (= 46.3 x 32.8 inch). 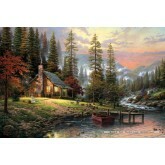 Special series: Thomas Kinkade. A 1000 pieces jigsaw puzzle made by Schmidt (reference 58450). Size: 69.3 x 49.3 cm (= 27.3 x 19.4 inch). 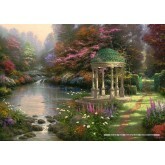 Special series: Thomas Kinkade. A 1000 pieces jigsaw puzzle made by Schmidt (reference 58461). Size: 69,3 x 49,3 cm (= 27.3 x 19.4 inch). 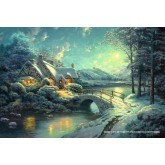 Special series: Thomas Kinkade. A 1000 pieces jigsaw puzzle made by Schmidt (reference 59294). Size: 37.30 x 27.20 x 5.70 cm (= 14.7 x 10.7 x 2.2 inch). 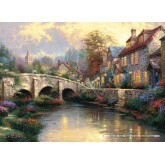 Special series: Thomas Kinkade. A 1000 pieces jigsaw puzzle made by Schmidt (reference 58445). Size: 69.3 x 49.3 cm (= 27.3 x 19.4 inch). 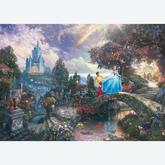 Special series: Thomas Kinkade. A 2000 pieces jigsaw puzzle made by Schmidt (reference 57453). Size: 96.8 x 69.2 cm (= 38.1 x 27.2 inch). 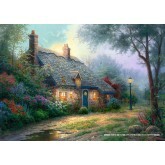 Special series: Thomas Kinkade.